Hot Topics highlights eco-news from the past month worth another mention. Click through for links to the original stories. Local home electronics and appliance retailer Abt offers a program where customers can trade-in electronics (working or non-working in some cases) for gift cards that can be used to purchase new electronics or appliances in store or online. Even if they offer no trade-in value they offer a free recycling program. 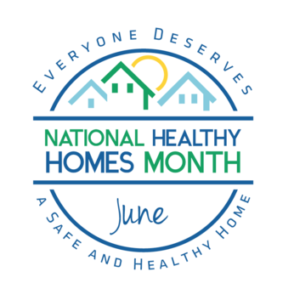 June is National Healthy Homes Month so take a moment to evaluate your home to ensure it is a healthy space for everyone. This year’s main focus is on reducing lead exposure. You can reduce lead and other chemicals in your home by up to 60% with two simple tricks to cut your family’s exposure: (1) use a doormat at every exterior door and (2) take off shoes at the door. Not only does it benefit your health, you won’t have to clean as often and you’ll protect your floors.